Follow the directions, put in the time and it works great! We have had a little trouble with the collar after 6 months, and when we called SportDOG, they were very helpful and ready to solve the problem. 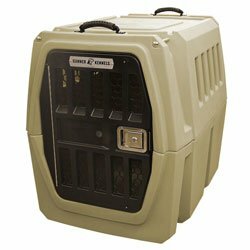 The G1 Large Kennel gives you the same quality build and design for your larger sized dog. SUBHEADLINE: The G1 Large Kennel gives you the same quality build and design for your larger sized dog. SUBHEADLINE: Durable plastic based dog collars. Get your FREE 4 line ID Plate attached to the collar.